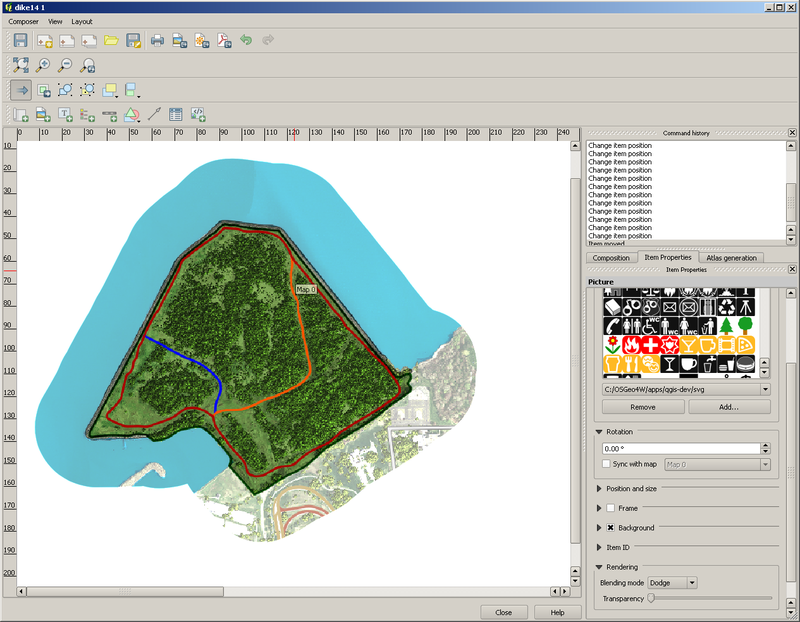 QGIS compositing is not limited just to between layers, but also for elements in the Print Composer. How is this useful? Every want a non-rectangular map? 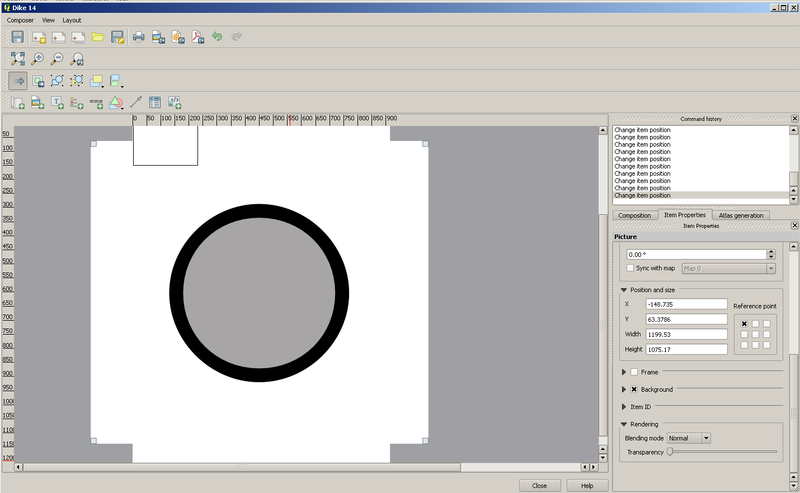 With 1.9 alpha, you can use an SVG to affect the elements under it. On the right, the svg. 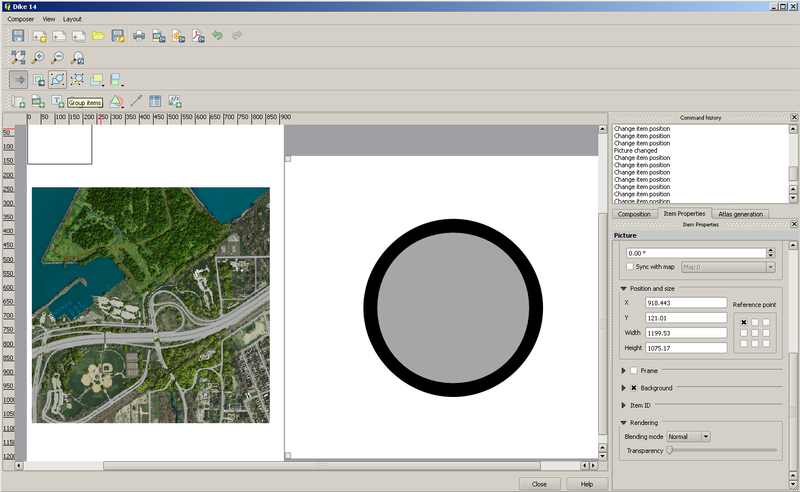 On the left, the map element inside the Print Composer. 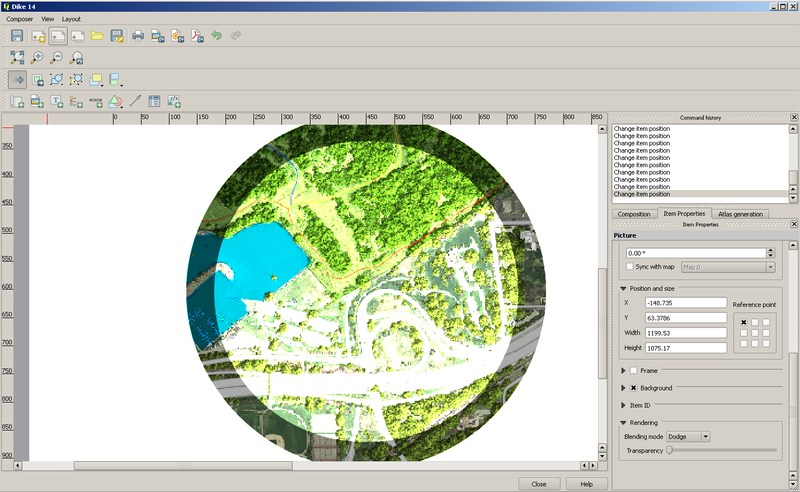 Overlay the two with “Blending Mode” set to “Normal” and the svg covers the map. Set the svg blending mode to “Dodge”, and we get an interesting mask, as well as (in this case) some additional affects related to the two different shades in our svg. For your inner cartographer– behold! A non-rectangular map! Wrap some text around that puppy and call it art. BTW, the map itself is a fake summer aerial created with povray, a winter aerial, and a little tinting of the winter aerial using blending mode “multiply” in the map itself. But that is the topic of another post… . Really cool – I love what you’ve done here! I was hoping to get proper support for masking objects added for 2.0 but couldn’t get it working reliably before feature freeze. I’d never thought about using a black mask with dodge blending — genius!! I’m keen to read about how you made that aerial image too…. Ah– I was wondering why masking wasn’t there explicitly. 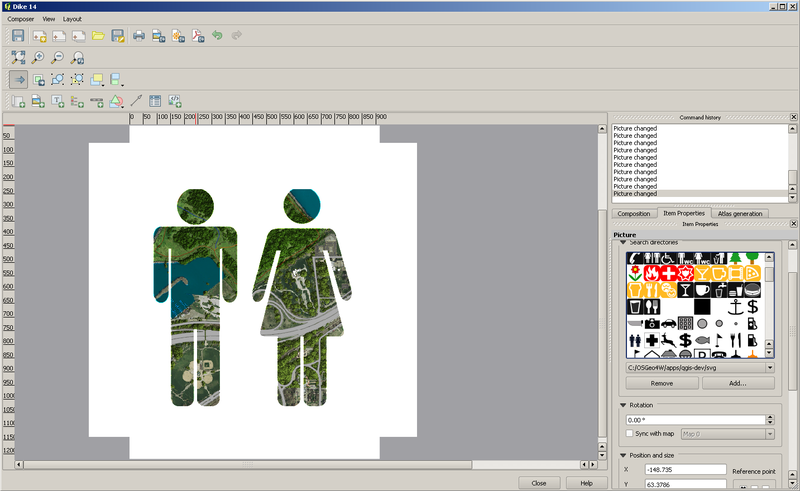 What is in there is just incredible, and I love that it’s exposed in all parts of the renderer, from the layers to the labels to the label buffers to the elements in the print composer. I have to confess I don’t understand all the modes yet, but having fun playing. I’m looking forward to writing the aerial post– it was a very fun cheat.